It is just two days now that we asked Lord Ganesha to return again the next year and with the onset of October, we are ready to welcome the Goddess Durga. The next two months are full of festivals, fun and food galore. It is definitely the most awaited period of the year here in the country. Festival or no festival, a mother’s role for her family never changes. Her day starts with making breakfast and packing lunch box for her family. Her job is never ending.. Moreover, today most mother’s being educated and health conscious invest their time, energy in healthy cooking and that’s what the theme for this month’s event is going to be..
1. Send your entries through the inlinkz tool. There are two inlinkz tools, one for Indian entries / giveaway participants and the second for other countries. 2. Send in vegetarian healthy lunch box ideas (eggs allowed). In case you are not able to use the inlinkz tool, send me a mail at cookingoodfood@gmail.com with following details: post name, blog’s name, recipe url, your name and resized picture. 3. Any number of new entries are accepted but only two entries from the archives accepted. Either repost or link the old post to event announcement and provide it’s URL link in one of your current month’s post. 4. Enter your entry only in one of the inlinkz tools. 5. Link all your entries to this event announcement. 6. The giveaway book is shipped only in India, hence it is open for any blogger who can provide an address in India. 7. To be part of the giveaway enter your entries under ‘Entries for Indian Bloggers and Giveaway participants’. 8. The giveaway is open only for the followers of my blog whom I can see ‘publically’. 9. Usage of logo is optional but I would appreciate if you could use it as it helps spread a word. If you like the food I cook, please join my face book fan page (check the right column in my blog). Your encouragement keeps me going!!! Can I link my sandwich recipe????? Priya Sathhesh, If your sandwich is a healthy version, pls link it. Nice event!! have submitted 2 entries from archives and hope to add more from the new ones!! Linked up an old entry, will soon try on for something new. Wonderful event dear. Will surely send my entries soon. Happy hosting dear. HI PARI , I AM SHARING AN AWARD WITH YOU. RECIEVE IT. Nice Event.Soon link my entries. Lovely event. Just linked my entry. Can you assist me with editing the name of the entry please? For some reason it's showing my name! Lovely event.. I have linked my new entries. Will link a few more till October end. Papad paratha and Pasta stuffed Triangles ... these 2 are re-posts. Posted my 4th recipe....Sabz Pasta. Pari ...I entered my archived post. 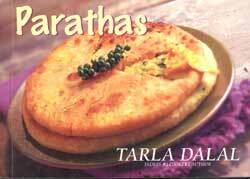 Hi, Linked Methi Parantha from my blog..